The History of Freemasonry in England is clouded in the mists of time but there is some positive evidence of the existence of speculative as distinct from operative Masonry in the 17th Century. Lodges of Freemasons at this period were largely occasional in the sense that they were summoned at irregular intervals and according to circumstances. Nevertheless the making of Masons continued in London and the Provinces with sufficient regularity so as to preserve knowledge of the procedures and tenets of the Craft. The upsurge in speculative masonry, giving rise to the as yet unidentified events which led to the formation of a Grand Lodge, took place in London. It is accepted that four Lodges, then meeting in taverns in London, came together and agreed to establish a Grand Lodge. The process by which agreement was reached is unknown but it is known that the premier Grand Lodge was established on 24 June 1717, St John’s Day, when a feast was held at the Goose and Gridiron Ale House in St Paul’s Churchyard. The four Lodges involved met at the Goose and Gridiron, the Crown Ale House in Parkers Lane (near the present building in Great Queen Street), The Apple Tree Tavern in Charles Street, Covent Garden and the Runner and Grapes Tavern in Channel Row, Westminster. Three still survive and are now known as Lodge of Antiquity No 2, Fortitude and Old Cumberland Lodge No 12 (originally No 3) and Royal Somerset House and Inverness Lodge No IV. These are known as “time immemorial lodges” the only lodges within the English constitution, with this distinction. They, together with Grand Stewards’ Lodge, have the ability to operate without a warrant. 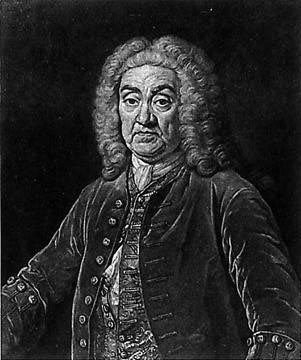 The Feast held every year on St John’s Day was initially based at the Goose and Gridiron but in 1721, when the first noble Grand Master John, the second Duke of Montagu was elected, the numbers attending meant that Grand Lodge met at Kings Arms Tavern and the Brethren afterwards marched in procession to the Stationers Hall in order to dine. Management of the Feast at the Goose and Gridiron was in the hands of the Wardens and the staff of the Inn. Now that the meeting was much larger it was suggested that stewards be appointed. The first known Steward was a Mr Jessiah Villeneau who organised the feast with the assistance of some waiters. In 1728 a motion was moved “That a certain number of Stewards should be chosen, who should have the entire care and direction of the said feast (together with the Grand Wardens), pursuant to the printed regulations”. This motion was carried when the Deputy Grand Master invited all those willing to accept the said office of Steward, to advance to the Table sign their names before the Chair. In the event, 12 Stewards were appointed. In the early years stewards were individuals who had volunteered for the position and who personally nominated their successors. It was not until the union of the two Grand Lodges that the position was regularised. The nominations were made by specific Lodges, rather than from one individual to another. In March 1735, Grand Lodge proposed to re-print the Book of Constitutions. It was decided to print the names of all the Grand Masters together with those of all Deputy Grand Masters, Grand Wardens and Brethren who had served the craft in the capacity of Stewards. All future Grand Officers were to be selected from that list. This resolution was of extreme importance since it rendered the office of Steward not only desirable, but also essential to those seeking preferment in the Craft. 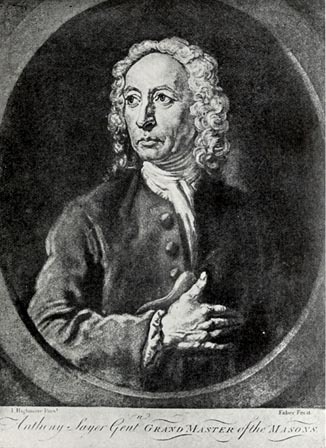 In June 1735, at the Quarterly Communications of Grand Lodge, an Address was presented by the body of Gentlemen who had served as Stewards seeking certain privileges in consideration of their services. That they might meet monthly or otherwise as a Lodge of Master Masons (under the denomination of the Stewards’ Lodge) and be enrolled among the number of the lodges as usual with the times of their meeting. That they might be so far distinguished (since all the Grand Officers are for the future appointed to be chosen out of their number and in order to qualify themselves to the right discharge of those offices, when called to the same) send a deputation of twelve from the whole body of Stewards to each Quarterly Communication, all twelve to have voices and all that come to pay half a crown a piece towards the expense of that occasion. 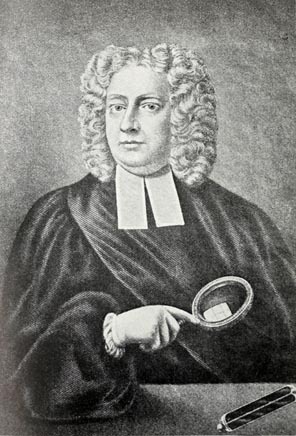 That no person, who had not served the Society as a Steward might be permitted at a Quarterly Communication or elsewhere to wear their coloured ribbons or aprons but that such as had been stewards might be indulged with wearing a particular jewel by way of distinction, suspended in their proper ribbon wherever they appear as Masons. So began the history of Grand Stewards’ Lodge which celebrated its 250th Anniversary in 1985, when H R H Prince Michael of Kent served as W M. At the time of its formation, it bore the name Stewards’ Lodge and was numbered 117. The celebrated Masonic historian, Coln Dyer points out in his book 'Grand Stewards' Lodge 1725- 1985' that at that time only two degrees were worked in Lodges but that the third degree was worked in a Master Mason Lodge. In the 1735 list the number 117 was in respect of a lodge formed in 1733, although no date was shown in the list, and described as a 'Master Mason Lodge' meeting at the King's Arms Tavern in the Strand. By subsequent numbering it became successively No 115, 70, 60, 47 and in April 1792, it was ordered to be placed at the head of the List of Lodges without number and to be known as The Grand Stewards’ Lodge and this position of honour continues to the present day. Constituted as a Master Masons lodge, the membership is restricted to those who have served the office of Grand Steward subject to proposal and election. The Lodge has no power to initiate, pass or raise masons. The Lodge meets before each Quarterly Communication of Grand Lodge. After closing, the Brethren proceed to the Grand Temple, where they occupy seats reserved for them in compliance with Rule 37 of the Book of Constitutions. The Installation Meeting, which takes place in January, is an open function to which Masonic guests maybe invited. The Lodge used to hold an Emergency Meeting at the end of October at which the investiture of those Brethren receiving Senior London Grand Rank, London Grand Rank and London Rank took place. The responsibility for stewarding this investiture has now passed to a daughter Lodge the newly formed Metropolitan Grand Stewards’ Lodge. Grand Stewards’ Lodge has four hundred and ten members. Each year there are up to nineteen new joining members these being the nineteen Grand Stewards with the privilege of nominating a Grand Steward. Presented to Bro Frederick Hockley by the members of the Grand Stewards’ Lodge on his retirement from the office of Secretary as a token of their appreciation of the many valuable services rendered by him during the years 1872-1885. In consequence of the lamented death of Bro Hockley on the 10th November 1885, this jewel was never presented and in accordance with his expressed wishes, it reverted to the Lodge. The Nineteen Red Apron Lodges. Before the union of the two Grand Lodges, accomplished on the 27 December 1813, the number of Stewards appointed appeared to be twelve. They did not always represent a particular Lodge because, previously, the privilege passed between individuals to rather than from Lodge to Lodge. However, under the new Book of Constitutions of the United Grand Lodge of England, approved in 1815, a number of the regulations concerning Grand Stewards and Grand Stewards’ Lodge were framed in a manner which suggests from that it would appear this time the Lodge and Grand Stewards were treated as being inseparable. The new regulations set a fixed date for future Grand Festivals in April on the Wednesday following St Georges Day. At the first of these on the 24 April 1816, “the eighteen Grand Stewards of the Day”, the last appointed by the Grand Master, presented their successors and they were duly proclaimed. The Minutes of that Meeting indicate the Lodges, from which they came, by the new Lodge Numbers allocated in 1814. These being the Lodges, which for the future, would be responsible for nominating a Grand Steward for the year. Of these, nine regularly nominated Stewards before the Union together with three others, royal now Royal Alpha Lodge No 16, London Lodge No 108 and Jacobs Ladder Lodge, which ceased working in 1800, each provided stewards for a consecutive period of years in pre-union days. The most kind and gracious manner in which your highness has pleased to bestow upon Pilgrim Lodge the distinguished privilege of returning one of the Grand Stewards has ever been prized by its members as a most valued jewel and they trust the selection they have periodically made has been such to evince their attitude and to afford satisfaction to your Royal Highness. The change of circumstances however as far as the numbers are concerned resulting from the few resident Germans in London during a period of peace rendered it impossible for the Lodge to avail themselves longer of this much-valued privilege and they are therefore under the painful necessity of returning it into the hands of the Most Worshipful Grand Master. In doing so, they venture to hope that your Royal Highness will do justice to their motives and believe that Pilgrim Lodge will ever retain a grateful sense of the kindness and condescension which your Royal Highness has always shown to their body. The return of the right to nominate was received with great regret and the privilege passed on to Jerusalem Lodge No 197. As well as adopting practices derived from the ancient Guilds of the City of London, Masonry has also acquired some from the noble Orders of Chivalry. For instance prominent members of the Craft have been Garter Knights and Garter Blue is the colour specified in the Book of Constitutions for Grand Rank regalia, except that of Grand Stewards which is crimson. 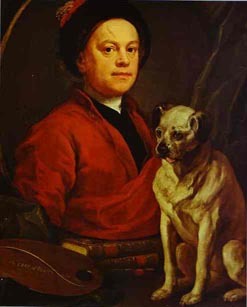 It is generally considered that crimson follows the usage of the Order of the Bath, revived in 1725, by King George I. The earliest surviving reference to the stewards’ crimson appears in the Minutes of Grand Lodge of 17 March 1731. There, it was proposed that those Brethren that are Stewards should wear their aprons lined with red silk and proper jewels pendant to red ribbons and that all those, who have served the Office of Steward, be able to wear aprons lined with red silk. Afterwards there have been changes in the size and shape of the apron apparent from surviving contemporary portraits and prints, and expansion in the composition of Grand Lodge the resolution as to the Stewards is largely unchanged. Grand Stewards are able to wear red upon appointment to their office. Members of the nineteen Red Apron Lodges, whether by initiation or joining wear normal craft clothing until such an appointment, following upon nomination to the Grand Master by their Lodge. A pre-requisite of this is an undertaking by the Grand Steward Elect to fulfil the obligations entailed. The Grand Master possesses a right of veto, although this has rarely been exercised. Grand Stewards of the year wear plain red collars, as do the officers and Past Masters of Grand Stewards’ Lodge. Past Grand Stewards collars, are edged with silver (or gold in the case of two Lodges No 2 and No 8). Since 1835, the Grand Stewards jewel has been in the style of a cornucopia between the legs of a pair of compasses. 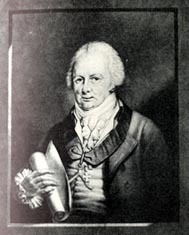 In 1797, a Grand Steward proposed that every member of his Board should wear a plain blue coat with yellow buttons and the initials GS engraved on each button, a white waistcoat and black silk breeches. However by 1813 fashion decreed that the more formal wear of black suits with white gloves be worn. Today full morning dress is worn at all official functions attended by a Grand Steward. Upon the annual installation of the Grand Master, he shall appoint nineteen Grand Stewards and for this purpose, one brother shall be recommended annually to the Grand Master for appointment by each of the nineteen Lodges, which enjoy the privilege of recommendation for that office. Every brother so recommended must have been a subscribing member of the recommending Lodge for not less than five years at the time of the commencement of his Grand Stewardship and must have attained the rank of Master. The name, address and Masonic rank of every Brother recommended shall be transmitted by his Lodge to the Grand Secretary on or before 31st March and should any Brother decline the office or be incapable of discharging the duties thereof or fail to receive the approval of the Grand Master, the Lodge, which recommended him, when informed of the circumstance, shall within 14 days transmit the name, address and Masonic rank of another Brother to supply his place. If any Lodge possessing the privilege of recommendation shall neglect to recommend a Grand Steward as required by this rule, that Lodge (unless it is otherwise directed by the Grand Master) shall forfeit its privilege and the Grand Master shall nominate some other Lodge to have such privilege in future. This happened in 1852 when Old Kings Arms No 28 failed to nominate a Grand Steward for that year. The right to nominate was transferred to Old Union Lodge No 46, thus restoring the strength of the Board of Grand Stewards at that time to eighteen as laid down in the Book of Constitutions then in force. The circumstances relating to the failure to nominate are recorded in the history of the Lodge. The then new lodge Secretary, a Bro Watkins, over-looked passing the name of the Brother chosen by ballot, in open lodge, to the Grand Secretary. 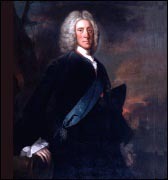 While nobody can question the outcome must have been surprised at the severity the Grand Master, the Earl of Zetland. A number of reasons have been suggested why such a draconian decision was made. 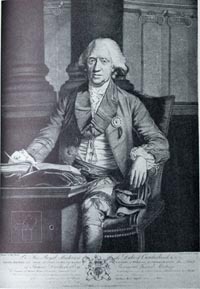 Charles Mackechnie-Jarvis in his Prestonian Lecture entitled Grand Stewards 1728-1978, suggests that the decision to “work to rule” arose out of an incident some forty years earlier, when a member of No 28, acting as Secretary to the Board of Grand Stewards refused to pass on the Minute Book to the succeeding Board, as a result of which one years’ minutes were lost. The Grand Secretary at the time was Bro W H White. He was not amused that his authority had been flouted in so flagrant a manner and interestingly he was still the Grand Secretary in 1852! Old Kings Arms made strenuous efforts at the time and later to have the decision revoked. In the event, the privilege was restored in 1904. This was largely due to the eloquence of Bro. E A Ebblewhite of Shakespear Lodge No 99 who was President of the 1903 Board of Grand Stewards’ together with the WM of Grand Stewards’ Lodge, Bro John Smithers. There was a discussion on four notices of motion to permit an increase in the number of Grand Stewards from eighteen to thirty, but these were withdrawn. However, Bro Ebblewhite put forward a further motion to increase the number from eighteen to nineteen which was passed and at the next Festival; the privilege was restored to Old Kings Arms. Learning from the past, very great care is taken to ensure that the nomination of the Grand Steward of the year is made within the timetable laid down in the Book of Constitutions. A Grand Steward is invested at the Annual Investiture, after nomination to Grand Lodge and acceptance by the Grand Master. He is introduced by his predecessor to the Grand Master and the other Rulers in the Craft prior to the Festival. Grand Stewards attend Grand Lodge at every Quarterly Communication. The Board of Grand Stewards - as they are known during their year - selects a President, Secretary and Treasurer. During the course of the year they arrange five or six dinners where guests include the Rulers in the Craft. They are also responsible for the organisation of the Grand Festival including sharing 40% of the total cost, which is a quite considerable sum! For the year, a Grand Steward is a Grand Officer. But unlike any other Grand Rank, at the end of the year he becomes a Past Grand Steward, Grand Rank is not retained. However Past Grand Stewards’ are senior to Senior London, London or Provincial Grand Rank.